Are you 16-24 and thinking about working as a freelance creative? Join CreateVoice, the V&A’s youth collective, at their monthly meet-up and gain industry insights. Free, drop in. 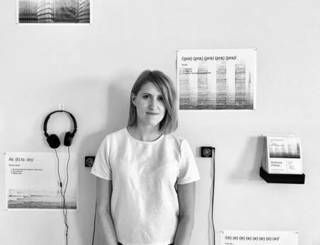 This month, join sound artist Hannah Kemp-Welch as she shares advice on what she wished she’d known before starting out as a freelance artist 18 months ago. Hannah has worked for a range of galleries, projects and festivals across the UK from Tate Modern to Fringe Arts Bath. Find out more about starting out as a freelancer – grab some tips on building networks, delve into the detail of framing your practice, and importantly, get practical advice to help you survive your first tax return.